Well, this is finally it, folks- the day I've been talking about for weeks now- my girls officially start preschool today! Crazy. 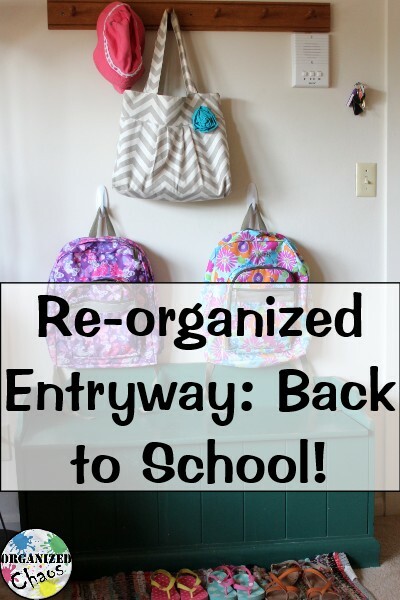 I've been doing a lot of organizing in preparation- setting up a meal planning system for their lunches, reorganizing their toys, their closets, and their visual calendar and chore chart, setting up school memory binders and more- and today I have one last change to share with you: our newly reorganized entryway. The changes are small but significant enough to make our mornings smoother, and I think I'm as ready as I'll ever be to get these kids to school today! So, obviously, the first change I made was to add some hooks for the girls' backpacks. I had purposely put the original hooks up high enough so that the girls couldn't reach them when we moved into this apartment 2 years ago, but now I wanted them to have a place to put their backpacks away without my help. Some simple command hooks were all I needed! Bins. The answer is always bins. Doesn't it look so much better?!? These cute little bins are from Walmart. They were super-cheap and they have a ton of them for back-to-school season. I love that they are so bright and colorful too! 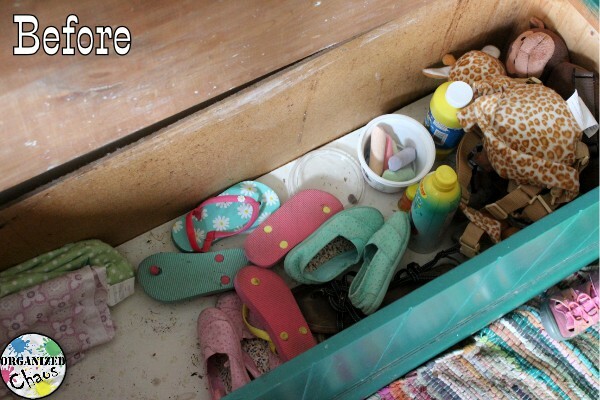 There is one bin for each girl's shoes, one for mine, and another for random stuff like sunscreen, sidewalk chalk, and bubbles. Because everyone needs bubbles in their entryway, just in case. 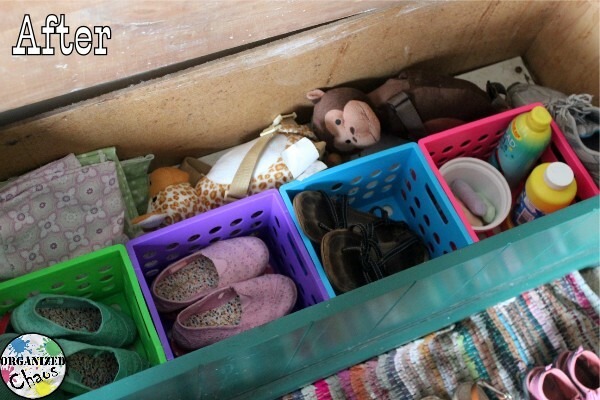 Since there wasn't a good way to fit another row of bins or reconfigure them to fit more, I decided to leave the blankets and extra backpacks (and my comparatively-giant sneakers) around the outside of the bins. Since the bins all hook to each other, they don't really slide around, which is awesome. 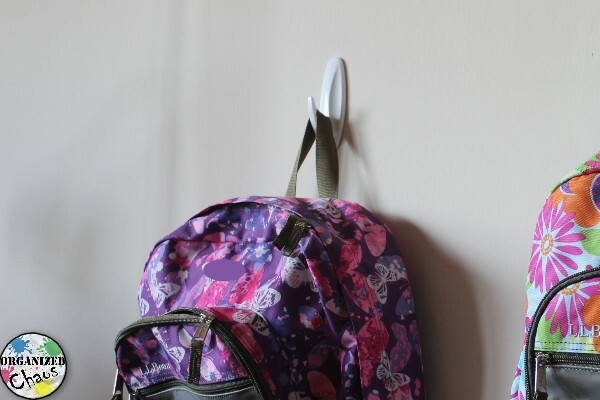 Me and my partner had a similar idea of putting hooks on the wall low enough for the kids to pop their school bags on. Very clever; I love how organised you've made it!